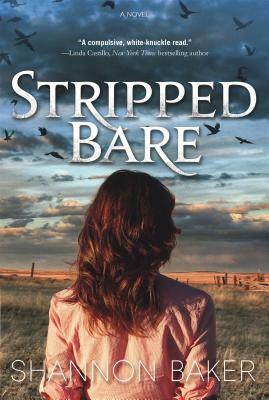 Stripped Bare by Shannon Baker is "A must read" (Alex Kava, New York Times bestselling author) mystery that stars a female Longmire in the atmospheric Nebraska Sandhills. Kate Fox is living the dream. She’s married to Grand County Sheriff Ted Conner, the heir to her beloved Nebraska Sandhills cattle ranch, where they live with Kate’s orphaned teenage niece, Carly. With the support of the well-connected Fox Clan, which includes Kate’s eight boisterous and interfering siblings, Ted’s reelection as Grand County Sheriff is virtually assured. That leaves Kate to the solitude and satisfaction of Frog Creek, her own slice of heaven. One night Kate answers a shattering phone call from Roxy at the Bar J. Carly’s granddad Eldon, owner of the ranch, is dead and Ted has been shot and may never walk again. Kate vows to find the killer. She soon discovers Ted responded so quickly to the scene because he was already at the Bar J . . . in Roxy’s bed. And to add to her woes, Carly has gone missing. Kate finds out that Eldon was considering selling his ranch to an obscenely rich environmentalist. Some in town hate the idea of an outsider buying up land, others are desperate to sell . . . and some might kill to get their way. As she becomes the victim of several “accidents,” Kate knows she must find the killer before it’s too late. . . .
SHANNON BAKER lived for twenty years in the Nebraska Sandhills, where cattle outnumber people by more than 50 to 1. Baker was named the Rocky Mountain Fiction Writers 2014 Writer of the Year. She now makes her home in sunny Tucson. She is the author of Tainted Mountain, Tattered Legacy, Broken Trust, among other books.